I just love the atmosphere captured in this image of the Colin Range of mountains close to the town of Jasper. It had been raining all day and I was returning devoid of images when the clouds began to break up. 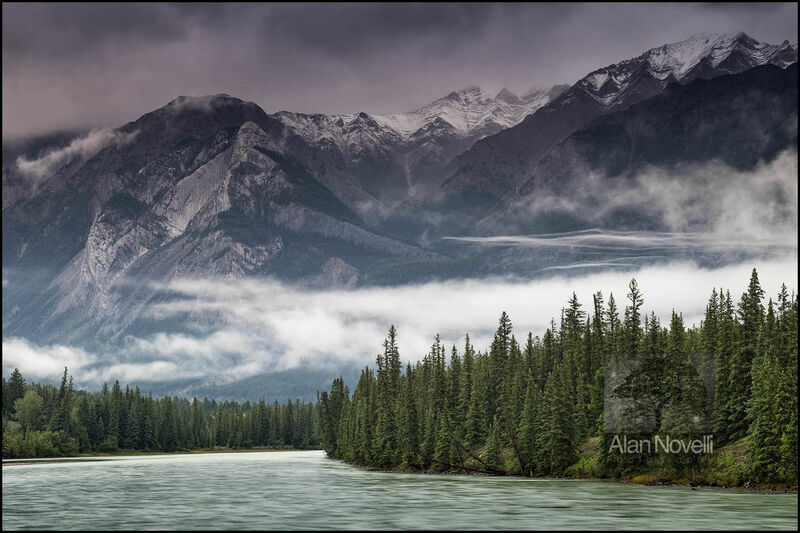 Crossing over the Athabasce River, Mount Hawk suddenly appeared out of the mists and after a brief wait this ethereal image was taken. Not a wasted day after all, in fact this is one of my favourites from the trip!